5 Benefits of the Holiday Fruit - Cranberries! The holiday season means many things, but a majority of us can agree that one of the best parts is all the tasty annual recipes we get to enjoy! In many of these recipes there is a very common ingredient that boosts health in surprising ways. That's right, we are talking about cranberries. According to FoodAndNutrition.org, cranberries are packed with vitamins and minerals. These can help bring your holiday meals and treats pack a delicious and nutritious punch. Vitamin C. These tiny little berries are loaded with immune-boosting Vitamin-C. It also helps with skin and bones. Manganese. As FoodAndNutrition.org states, fresh cranberries also contain manganese, which boosts your metabolism. Antioxidants. When you eat a cranberry, prepare to feel good! These berries are loaded with antioxidants and can help you stay healthy. Fiber and Healthy Fats. We all love and hate the holiday season because of all the food. However, did you know cranberries' fiber and healthy fats make you feel fuller longer? There's hope for waistlines after all! Kidney health. 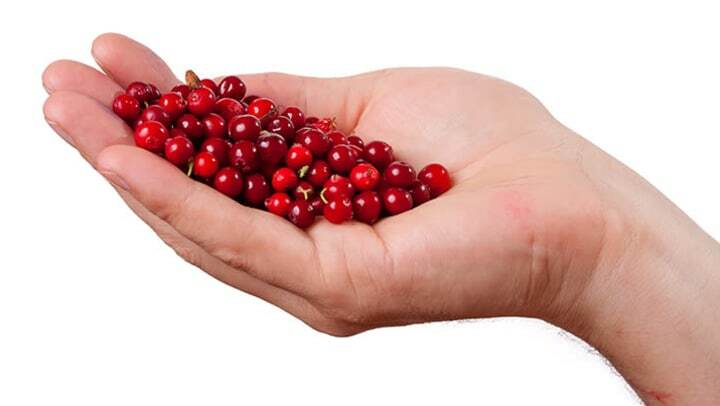 One of cranberries' most well known health benefits is their ability to contribute to kidney health. They contain compounds that prevent bacteria that can cause issues such as UTIs. For this level of health benefit, you may be better off drinking a tall glass of 100% cranberry juice. Cranberry-orange scones. Cranberry relish. Cranberry cookies. Oh my! Of course, you should always watch out for sugary recipes like above, especially since cranberries already have natural sugar. However, cranberries can offer the above health benefits to make you smile during the holidays!